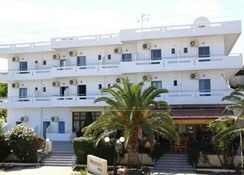 Location The Hotel is situated in the area of Amoudara of Heraklion. The beach is only 300 meters away. The nearest bus stop and taxi stand are directly in front of the hotel. Shops are approximatelly 200 meters away. The city center (Heraklion) is six kilometers away. 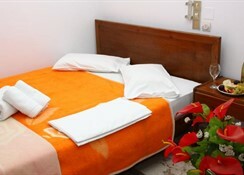 Facilities: The hotel offers you 33 rooms, a reception with a lobby, a restaurant and two bars. The hotel is equipped with an air conditioner. Wireless internet is available free of charge in all hotel areas. Additional facilities at a small Fee: Laundry service. Parking is included. 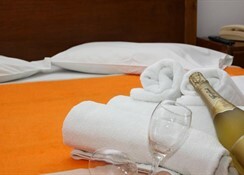 Accommodation Accommodation is in A/C (on extra charge) double rooms with shower, WC and a terrace or balcony. They all posess a LCD-TV, Internet access (free), safe (free), telephone, a hairdryer, a kitchenette and a refrigerator. The rooms are specious and consist of a combined living and bedroom with a tiled floor. Meals: Clients can choose either Breakfast (Buffet) only, or Half board accommodation. Dinner consists of international as well as greek homemade specialities (e.g. 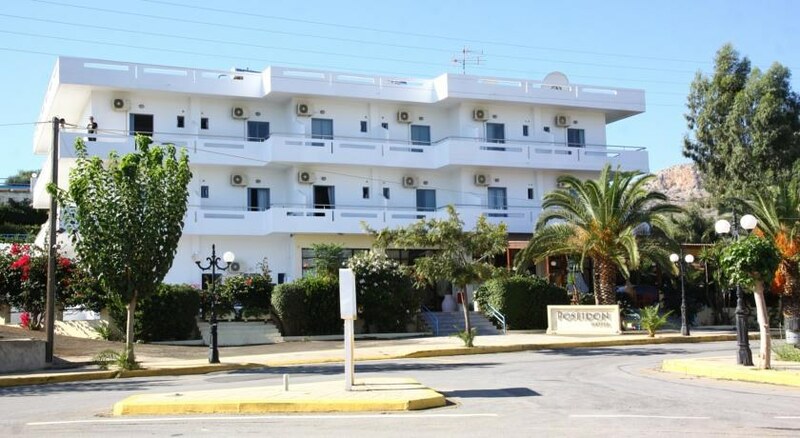 various salats, starters, main courses such as pastitsio,stuffed vegetables,mousaka e.t.c, followed by fresh fruits, ice-creams and sweets - cakes and local snaps (Raki - Ouzo). 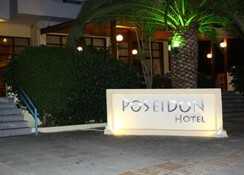 Sports/Entertaiment: The hotel premisses include a swimming pool, where Sunbeds and Umbrellas are provided free of charge. (On the beach sunbeds & Umbrellas are on extra charge) Payment: Hotel does NOT accept any credit cards. We really enjoyed our holiday here. Both staff and food were fab. The hotel is clean and very pleasant. 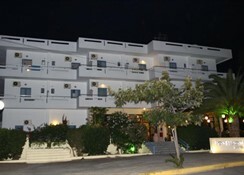 All in all great value for money and a really relaxing holiday.